Please call (603) 383-4313 to make your reservation. 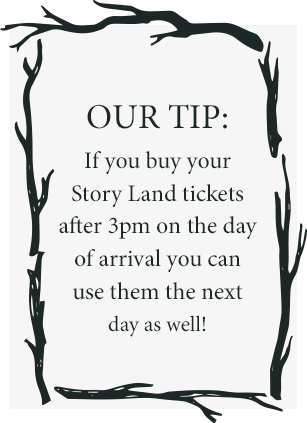 OUR STORY LAND HOTEL MAKES IT EASY! Free Full American Breakfast! 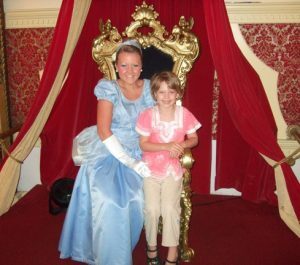 Kids of all ages welcome – 2 and under stay free! Beat North Conway traffic and turn right instead for a minute’s ride to quaint Jackson Village. Playground, large lawns, indoor and outdoor pool. Kids menu and movies in the sitting room. Nightly fire pit and star gazing on our front lawn. Beaver Pond and Jackson waterfalls 5 minute walk from the Inn. Your children will not let you stay anywhere else after this! The Christmas Farm Inn & Spa, a Story Land Hotel, is only 5 minutes from Story Land through the Jackson Covered Bridge in the picturesque village of Jackson, New Hampshire. 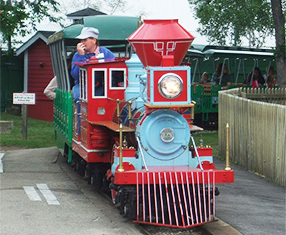 Santa’s Village is a short 45-minute drive. 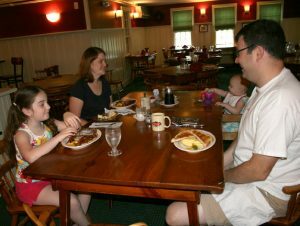 We are an historic New England inn offering fun, family friendly accommodations with all the amenities of a modern resort, including: indoor heated pool, hot tub and fitness center; and large outdoor pool; children’s play area; family friendly restaurant; cozy pub; outdoor fire-pit and Aveda Spa. And…we’re only a short stroll to famous Jackson Falls! With 15 acres of tranquil space in the heart of the White Mountains, the Christmas Farm Inn & Spa has a long history of being the favorite Story Land hotel and Santa’s Village resort destination close to all Mount Washington Valley sites, attractions, activities and shopping. We have an abundance of family friendly accommodations to suit all budgets, including many large traditional inn rooms, family loft studios in our historic barn, two bedroom and two bath cottages with large living rooms, and large suites with living room and sofa beds. You can find room descriptions and pictures for all our rooms on our website to suit your requirement. Alternatively, our friendly reservationist will be happy to answer any of your questions and book the right room you. 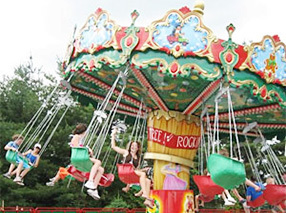 Here is some Mom-to-Mom advice on planning your Story Land trip from Innkeeper Sandra! After a busy day, the kids can cool down in our large outdoor swimming pool (July-August) or burn-off energy at our outdoor play area. The indoor pool, hot tub and fitness center is also a treat…and especially popular on rainy days! Many families also like to explore our local beaver pond for wild life or safely play in the natural pools of Jackson Falls – a 5 minute walk from the inn. Our restaurant is family friendly with a special menu featuring kids’ meals and activities, as well as movies and games every night from 5.30 pm in the adjacent sitting room. The pub is open nightly and is for adults only…just in case you need a break! All our food is tasty and freshly prepared using many natural and organic ingredients. 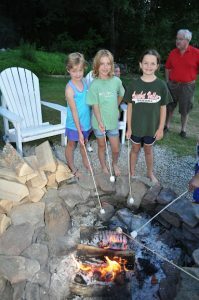 After dinner the whole family can enjoy our nightly fire pit roasting marshmallows, making s’mores and admiring the starry night sky (weather permitting!!). In your busy lives, you are endlessly fulfilling every obligation except the one to yourself. For your mental, physical, and psychological well-being, you sometimes just need to stop. Then you need to do something you want to do. You need to take some Me Time. 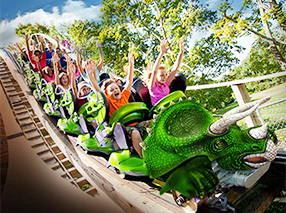 With a bit of planning this moment-of getaway can happen even on a Story Land vacation. After a busy day, let your partner take the kids to the pool to cool down while you enjoy a soothing, rejuvenating massage or facial treatment, sip a cup of AVEDA health tea whilst catching up with the latest magazines or let off steam during a private session on our steam room. To see the list of services please click here.